At a timing as such, I'm feeling excited yet filled with bittersweet feelings. TODAY (when the Sun rises), is my Official Graduation Day! This Graduation speech below, probably sums up all I have to say about Graduation and my Polytechnic route, in a really formal way. There's so much that I would love to type here (will do so in my next official graduation post) but a speech is a speech and it's to be short and sweet. I may have missed out some points here and there, but here's a gist of it. I regret not being able to speak at Graduation tomorrow, but I'm sure the other guy would do a better job than me, so Kudos to everyone who's graduating. WE DID IT! Today is a day for us to celebrate, to be thankful and to be inspired. I have done numerous speeches before but I never dreamt that one day I would be delievering a valedictorian speech. Now, I speak for my fellow graduates when I say that this is a moment we have always imagined and one, we will remember for the rest of our lives. 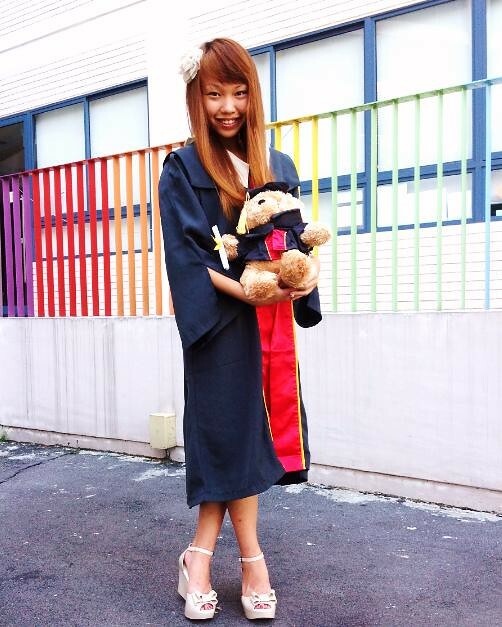 My name is Samantha Whang, a graduate from the Diploma in Business. I am a TP Scholar and also the President of the Business Studies Club. I would like to thank God for his blessings which helped me achieve. Yet, today is not only my day to shine. Every graduate present here is equally deserving of high praise and applause and I would like to congratulate each of us on reaching this milestone in life. I have in the course of our studies seen insightful comments, compelling arguments, and impactful presentations. In fact, you all can be a touch intimidating. Look at the person sitting next to you, it is impossible to imagine what they will accomplish in the future. I remember the first day of orientation, the awkward moment when I met my classmates. I remember going to the first lecture with my new found friends and being proud of ourselves for surviving the hour. I remember my first ever presentation which left me with a grown-up feeling wearing my first formal presentation outfits, what my tutor called the black and white ‘penguin’ attire. As I moved on from semester to semester, it got more interesting but at the same time, the work load got tougher. I wished for more than 24 hours a day to squeeze the many things into my day and night but that has remained a wish for now. We are gathered in this hall today, to reflect upon and celebrate the memories and laughter, disappointments and successes that have led us to where we are. Thank you TP for the incredible opportunities I was given in these three years and for preparing me for the life ahead. I would never forget the study trip to Korea, juggling my studies and CCA responsibilities as well as taking up the certificate plus programme in Psychology. It was here, under the guidance of supportive tutors that I became aware of problems,possibilities, and perspectives that I hardly gave a thought to before. I would like to express a heartfelt thank you to all lecturers and tutors for not shunning away from us when we needed extra consultation during the exam period. I would specially like to thank my own tutors for believing in me and for patiently answering my endless questions. We are honoured and grateful to have you all as our educators and we will be proud to say we were once your students. Next, my school mates who have worked with me through it all to achieve the best possible grades. We have learned, laughed, loved, gotten into trouble, and most of all matured together. I dare say I have met some of my best friends, right here at Temasek Polytechnic and I appreciate this friendships we forged in the past 3years. Last but not least, my parents for not pressuring me in anyway. My dad’s philosophy is ‘Don’t study hard, study smart. No stress, enjoy your education and make friends from all walks of life’. At the end of the day, it’s the friendships forged not the grades garnered that matters most’. I am proud to say TP is just like a second home to me and leaving my second home today leaves me with bitter-sweet feelings. It will probably take some time (perhaps days, months, years or even never) to see the reason why certain things occur, even though nothing happens without a purpose. However, I already know why I will never regret at least one decision that I have made in my life, the decision to enrol in TP. Good friends are like your siblings who will stick by you through thick and thin and so to the class of 2012, we have crossed the finishing line and graduated. Graduation is a celebration of our past years of living and a passport to venture on our own into the “real world” and truly pursue our passions. We may be uncertain of what the future holds but keep calm and carry on because everything is possible if we only believe.